Our Engineering and Product Development team and dedicated Project Manager work alongside industry partners to develop new and potentially lifesaving solutions for the road safety market. Utilising years of experience and contacts within the road safety industry we work together to identify gaps in the market where a solution is required. A prototype is then designed, developed and tested and then can be put on trial through our partners. 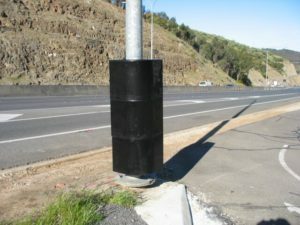 Projects include road barriers, impact absorbers, multi-faced folding sign systems, motorcycle protection and a Vehicle Sign System. 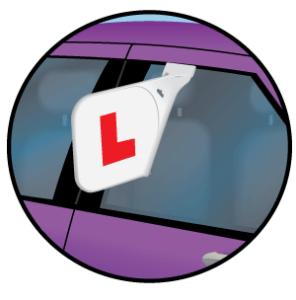 Our Insight Vehicle Sign System (see photo) had been developed as a means of clearly alerting drivers of a Learner or Provisional driver, Baby on Board etc, in a clearly visible way. This system has been developed as a more substantial alternative to traditional magnetic L plates, which is easily seen by other drivers. Biker-Mate is a key product and is currently being tested in 6 UK counties and on three continents to monitor effectiveness and help reduce the risk of serious injury to motorcyclists in accident black-spots. Encocam has a division dedicated to the design of new innovative road safety products, designed to save the lives of road maintenance workers, motorists and pedestrians. With the experience and expertise that our product development team has, our ability to design and develop pioneering and user-friendly products is second to none. With close links to industry partners, the road safety division is perfectly placed in order to create a safer environment in which to travel. We take pride in its ability to turn ideas into unique solutions and products. With our number of industry connections, as well as contacts in local and central government, Encocam is renowned within the industry, emerging as a leader in road safety solutions. For more information on our road safety products please contact us.